Pro Evolution Soccer 2018 opens at 73,389 sales. Pro Evolution Soccer 2019 for PlayStation 4 sold 73,389 retail copies during its opening week in Japan, the latest Media Create sales figures reveal. Also new this week, Little Dragons Cafe, the new game from the creator of Bokujou Monogatari, opened at 11,860 retail copies on Switch and 5,308 copies on PlayStation 4 for a total of 17,168 sales. 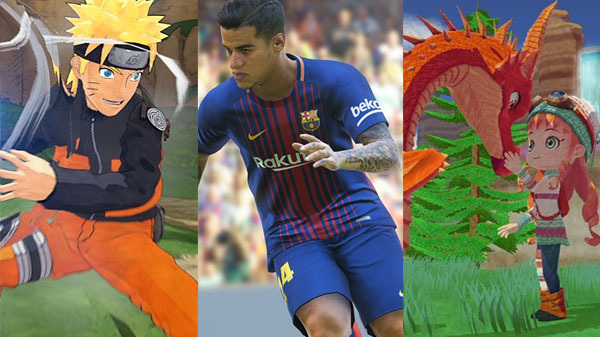 Naruto to Boruto: Shinobi Striker for PlayStation 4 followed at 10,685 sales. On the hardware side, Switch sold 42,151 units, the PlayStation 4 family sold 16,591 units, and the 3DS family sold 8,292 units.